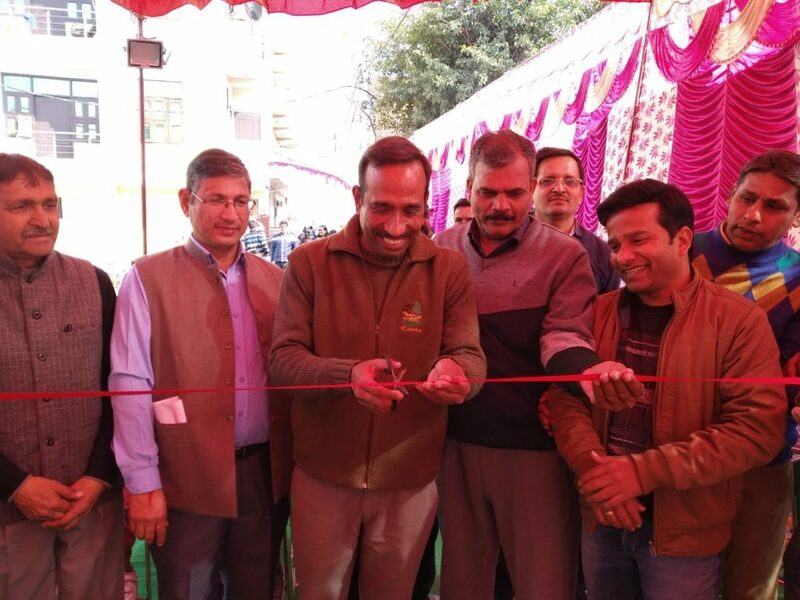 Dr. Faiyaz A. Khudsar, Scientist In-Charge of Yamuna Biodiversity Park inaugurating the Flower Show and related events at Burari. Burari, the high population density part of North Delhi has now woken up to the need for taking care of its local environment. Burari faces similar challenges as faced by people in other parts of Delhi. Waste management is a crisis and the polluted air requires planting of more and more trees. Another issue, unique to Burari and some urban villages, is that of open sewer lines carrying waste water emerging from individual households. 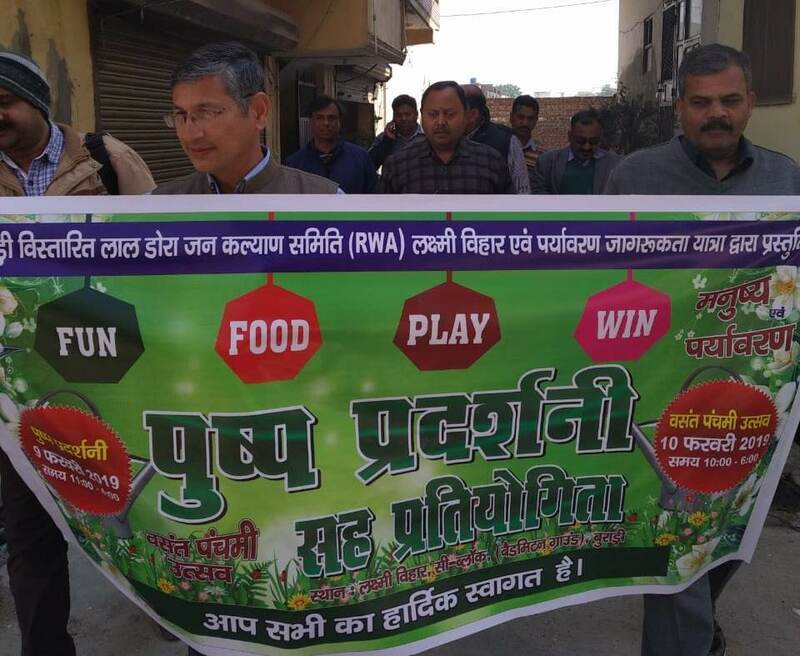 Taking cognizance of these environmental challenges, and inspired by global action for environmental protection, an RWA in Burari organised a flower show and painting competition in February this year. The objective of the two days-long event was to generate environmental awareness and sensitivity in the neighbourhood. The event included other activities like theater performances by children and an awareness rally. The initiative was taken by Laxmi Vihar based Burari Vistarit Lal Dora Jan Kalyan Samiti RWA along with local organisations like Paryavaran Jagrukta Yatra. 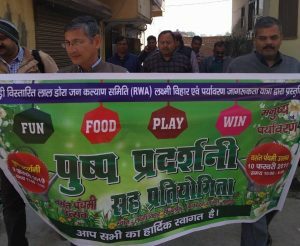 Speaking on the need for motivating the Burari neighbourhood communities for taking action for environmental protection, Surindra Rana, Convener of the event highlighted the need for raising awareness on environmental issues. “Nature has given us so many resources. But what we are giving it back is only garbage and pollution. This needs to change and all of us need to come together to save environment for our own survival,” he said. The Laxmi Vihar RWA includes some 400 households many of whom are Government employees and aware of the different Government schemes for environmental protection. Many of them have either participated in or organised Swacch Bharat campaigns in their work places. This was another motivation for them to bring this campaign in their locality as well. The RWA has not limited its working to this flower show and is now planning to organise more such events as well as initiate projects in the area. Discussions have already begun for adopting the restoring the local wetland and exploring the possibility of setting up a localized waste water treatment plant. Encouraging the residents to grow plants and edibles is also part of the vision for future green action.